The fact that GMOs are unhealthy tops the list. 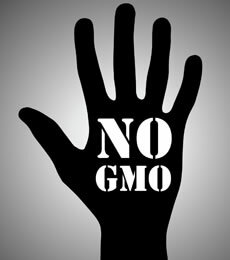 The American Academy of Environmental Medicine urges doctors to prescribe non-GMO diets, citing animal studies indicating organ damage, gastrointestinal and immune system disorders, accelerated aging and infertility. It reports human studies show GM foods leave material behind inside of us; for example, genes inserted into soy can transfer into the DNA of bacteria living our bodies. After GMOs were introduced (1996), Americans with three or more chronic illnesses jumped from 7% to 13% in nine years, food allergies skyrocketed and autism, reproductive disorders, digestive problems and others are on the rise. Doctors’ groups such as the AAEM are warning to not wait before protecting ourselves, especially children, as more potential dangers are clearly identified. The fact that GMOs contaminate forever – already causing losses for farmers who struggle to keep their crops pure – is a major concern. So is rapidly increasing herbicide use. Between 1996 and 2008, US farmers sprayed an extra 383 million pounds, resulting in herbicide resistant “super-weeds,” requiring ever more toxic herbicide, causing environmental harm and higher residues. Roundup, for example, is linked with sterility, hormone disruption, birth defects and cancer. Dangerous side effects are created by mixing genes from totally unrelated species; the very process of creating a GM plant can result in massive collateral damage producing new toxins, allergens, carcinogens and nutritional deficiencies. Fifth on the AAEM list is lax government regulations, justified by the specious claim that GM food is not substantially different, despite overwhelming scientific consensus of unpredictable, hard-to-detect side effects and urgent need for long-term safety studies. An example of corporate influence is the appointment of former Monsanto attorney and vice-president Michael Taylor to US food safety czar, actively promoting biotechnology. In the past, companies such as Monsanto made claims that Agent Orange, PCBs and DDT were safe and are now utilizing similar superficial and rigged research. Independent scientists are demonstrating without a doubt that industry funded research avoids finding problems and distorts and denies adverse findings while other research and reports are attacked and suppressed. Despite widespread claims, GMOs do not increase yields. In fact, they work against feeding a hungry world. Sustainable non-GMO agricultural methods in developing countries have resulted in increases of 79% and higher, while GMOs do not, on average, increase yields at all. That is confirmed by the Union of Concerned Scientists’ 2009 report “Failure to Yield,” the definitive study to-date. As well, the International Assessment of Agricultural Knowledge, Science and Technology for Development (IAASTD) report – authored by more than 400 scientists and backed by 58 governments – states, “Assessment lags behind development, information is anecdotal and contradictory and uncertainty about possible benefits and damage is unavoidable.” It found current GMOs offer nothing to goals of reducing hunger and poverty, improving nutrition, health, rural livelihoods and social and environmental sustainability. In fact, GMOs divert money and resources from safe, reliable and appropriate technologies. Finally, avoiding GMOs contributes to the coming tipping point of consumer rejection, forcing them out of our food supply. Because GMOs offer no consumer benefits, if even a small percentage rejects brands that contain them, GM ingredients will become a marketing liability. The Campaign for Healthier Eating in America is designed to achieve a tipping point against GMOs, estimating that goal can be reached if just five percent actively shop for non-GMOs. The key is continuing to educate the public about the increasing documented health dangers and making avoiding GMOs much easier. In a wide-ranging op-ed “GMOs for Profit: The Missing Context of Industrial Agriculture” (Truthout, November 13, 2013) Curt Ries concludes, “It is not what GMOs are that should demand so much attention, but rather, what they do, what they allow and facilitate. In our system of industrial agriculture, their role is unambiguous: To help destructive monocultures become even more productive and, thus, even more destructive to soils and communities; to make farmers increasingly dependent upon and indebted to profit-obsessed corporations; to put at risk the diversity and resilience of our food supply; to facilitate the propagation of disease from agricultural pollutants and unhealthy foods; to contaminate ecosystems and contribute to climate change. “These are the real and present functions of GMO biotechnology. They are not saviours of the poor and the hungry, nor are they gifts to farmers, consumers or the land. They are tools to grow biotech profits and consolidate corporate control over the food system,” he concludes.